What would it take to make Hobart Australia’s most Liveable City? A biennial lecture and exhibition held in honour of the distinguished British planner, Sir Patrick Abercrombie. The Abercrombie lecture is in Honour of Sir Patrick Abercrombie. Since 2006, the Planning Institute Australia has held the Abercrombie Lecture to coincide with World Planning Day. The Abercrombie Lecture is held in honour of one of the most distinguished town planners of the 20th century, Professor Sir Patrick Abercrombie. The Abercrombie Lecture is also held in conjunction with Sir Patrick's descendants, who continue to reside in the State. The University of Tasmania's Special and Rare Collection holds a collection of books and plans of Abercrombie's, donated by Sir Patrick's son, the late Neil Abercrombie, who was Town and Country Planning Commissioner in Tasmania for nearly two decades, from 1956. The aim of the lecture is to invite a nationally/internationally prominent planner to give a lecture which reflects on the importance of urban planning today and the life and work of Professor Sir Patrick Abercrombie, whose work included master plans for Greater London, Dublin, the Clyde Valley Region, and Plymouth, amongst many others. His international collaborations included advising the governments of Ethiopia, Ceylon, Palestine and Hong Kong. 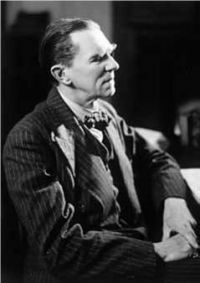 Sir Patrick toured Australia in 1948, and delivered a lecture in Hobart’s Town Hall. Professor Billie Giles-Corti is a Distinguished Professor at RMIT University and Director of its Urban Futures Enabling Capability Platform. She is a National Health and Medical Research Council (NHMRC) Senior Principal Research Fellow and directs the Centre for Urban Research’s Healthy Liveable Cities Research Group at RMIT’s Centre for Urban Research. Prior to joining RMIT in 2017, she was a Redmond Barry Distinguished Professor at the University of Melbourne and Director of the McCaughey VicHealth Community Wellbeing Unit. For over two decades, Billie and a multi-disciplinary research team have been studying the impact of the built environment on health and wellbeing. She currently leads an NHMRC Centre of Research Excellence in Healthy Liveable Communities established in 2014, which works closely with local, national and global policy-makers and practitioners. She is a Chief Investigator on the NHMRC Australian Prevention Partnership Centre, responsible for working with sectors outside of health, and leads a National Liveability Study funded by The Australian Prevention Partnership Centre. She is also the Liveability Lead for The Clean Air and Urban Landscapes Hub, which is supported through funding from the Australian Government’s National Environmental Science Programme and her team is currently mapping policy-relevant urban liveability indicators across all Australian capital cities. She has published over 300 articles, book chapters and reports, and by citations, is ranked in the top 1% of researchers in her field globally. She is an Honorary Fellow of both the Planning Institute of Australia and the Public Health Association, a Fulbright Scholar and in 2016 was awarded an NHMRC Elizabeth Blackburn Fellowship as the top ranked female fellow in public health in 2015. The Abercrombie Lecture is presented in partnership with the Planning Institute of Australia (Tasmanian Division). Sir Patrick Abercrombie is perhaps best known for the two great London plans after World War 2, but there were many others including proposals for Warwick, Bournemouth, Bath, Caernarvonshire, Doncaster, Plymouth, Kingston-on-Hull, West Midlands, Winchester, Edinburgh and the famous Clyde Valley Plan. He also produced proposals for Cumbria, Sheffield, Bristol and for East Suffolk. Further afield Abercrombie worked on plans for Dublin, Hong Kong, Addis Ababa, and in what was then known as Ceylon. He consulted to the British Government on the distribution of the Industrial Population, and he founded the Council for the Preservation of Rural England. He was also President of the International Union of Architects. In 1945 Abercrombie was knighted, and the following year he received the Royal Gold Medal for Architecture, then the Gold Medal of the American Architects in 1950 and that of the Royal Town Planning Institute in 1953. He was also awarded the honorary degree of Doctor of Letters at London University. When this was conferred, it was said that he had "endeavoured to transform crowded conurbations not by sterile standardizations of mediocrity but by concepts reflecting the rich diversity of his own culture". There were many other honours conferred upon him during his lifetime. He became a Chevalier of the Legion d'Honneur in France in 1956 for his services to society. And in the Spanish speaking planning world he is known as the "Urbanista". In July 2005 the Royal Town Planning Institute celebrated the contribution made by Sir Patrick Abercrombie to planning, 60 years after his seminal 1945 London Plan. Abercrombie has strong connections with Tasmania. Sir Patrick's son Neil (a highly regarded planner in his own right) was the Town and Country Planning Commissioner here in the 1960s. It was Neil who donated his father's books to the University Library. Two of his daughters still live here in Tasmania and they have played a major part in making this event happen as indeed they did in London in 2005.